PHILADELPHIA (AP) — Not everyone was cursing the fall snowstorm that snared traffic throughout the Northeast. 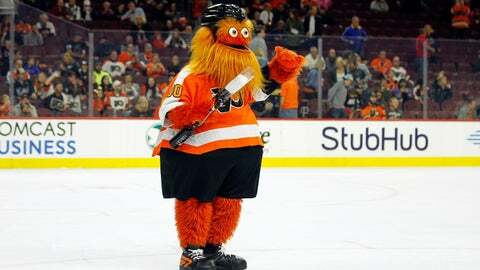 In video shared on his Twitter account, Gritty proclaimed his love for snow by shuffling his feet to form the shape of a heart. The 7-foot (2-meter) furry, orange creature was introduced in September.